Ned Davis received his B.A. from Harvard College in 1976 and his Ph.D in Chinese History from the University of California at Berkeley in 1994. 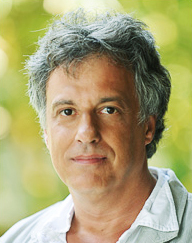 His research focuses on the social and cultural history of Middle Imperial China (750-1600) and the history of Chinese religions from the ancient period until the present. His major publications include Society and the Supernatural in Song China (2001) and The Encyclopedia of Contemporary Chinese Culture (2005) and numerous articles on the development of popular temple cults in the Tang and Song dynasties. He regularly teaches honors sections of World Cultures (161a) for freshman; the general survey of Chinese history (311 and 312); upper division courses on pre-modern Chinese political culture (416); graduate seminars on various topics in ancient, early-imperial, and middle-imperial Chinese history (661b/c); and undergraduate and graduate courses in historiography (396 and 602). 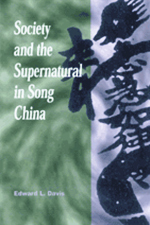 Society and the Supernatural in Song China (Honolulu, 2003). “Arms and the Tao: Hero Cult and Empire in Traditional China,” in Sōdai no shakai to shūkyō [Song Society and Religion], (Tokyo, 1985). Co-editor, The Encyclopedia of Contemporary Chinese Culture (London, New York, 2006).